So, except for some famous historical painters, all late Meiji artists, almost all of which seem to have Kyoto connections. 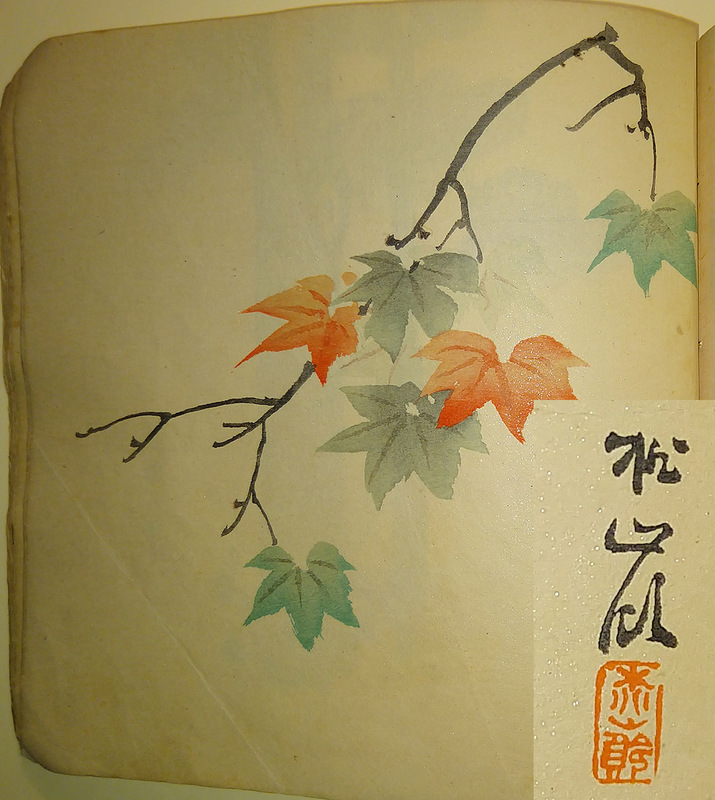 The difficulty is that there are still prints which have not yet been identified, and some of them have numerous examples in the fan book. I am posting two more examples that appear several times in the album, but that I have been unable to identify. Representatives from the two artists are posted here with enlarged signature blocks. Any identification by the Asian Art Forum community would be greatly appreciated.